Heavy punching bags are great for both technique and fitness. With a heavy bag workout, you can perfect your technique and get in a solid cardiovascular workout at the same time. Put on a pair of wraps and some gloves and you can wail on that heavy bag for as long and hard as you like without having your hands fall to pieces or your wrists shattering on impact. Most weight-lifting/fitness gyms are open from early in the morning until late in the evening, but very few have a working heavy bag for you to use. 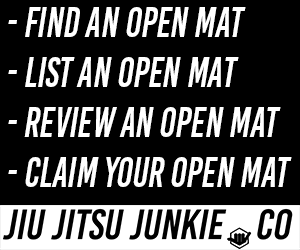 You might have a heavy bag in your MMA gym but as we all know, MMA/BJJ gyms sometimes have erratic schedules and inconsistent class timetables. There might be very few opportunities for you to pop in and get a heavy bag workout in. But these days, heavy bags aren’t just reserved for commercial boxing gyms. You can buy the same high quality bags that you would find in a boxing gym, but for your own home. You don’t have to settle for sub-par quality bags. We’ve created a list of the top 5 heavy bags that you can purchase today and be punching away at in no time. Heavy bags take a beating. It is literally what they’re designed to do. Though even being designed to withstand all that punishment, some wear and tear is inevitable. Outslayer, however, don’t agree with this. When buying this bag, Outslayer give you a 10 year warranty certificate. It protects you from any damage to the bag for up to 10 years of use! If for some reason the bag does tear or split, Outslayer will provide you with another one for free under said warranty. That’s how confident they are with their product and it’s durability. It also ships with a durable vinyl cover that you can reuse when moving or storing the bag when it’s not in use, to help it stay in good shape for even longer. Everyone knows Everlast. They’ve been producing top quality boxing gear for years and in recent times they’ve extended their expertise into the MMA sphere too. Whether you focus on boxing or training MMA as a whole, this bag covers all of your needs. The pre-filled 70 pound bag comes with hand wraps, bag gloves and a bungee cord that you can attach to the bag to increase the resistance. The bag gloves that come with it are perfect whether you already have boxing gloves or not. If you already have a solid pair then you can save them a beating by using the bag gloves solely for hitting the heavy bag. You also have a 120 day warranty included in case of any mishaps whilst using it. Ringside are another company known for producing top notch boxing equipment and this heavy bag is no exception. The power-hide covering provides the bag with unparalleled durability. No matter how hard you hit it or how many sessions you put in, the bag just will not tear. Nor will it lose shape. Heavy bags losing shape is a more common issue than the bag tearing. When a bag is hit at the same place, again and again, eventually the insides begin to shift and the bag loses it shape. But again, with the power-hide covering, this is very unlikely to ever happen with this bag. The bag features a double-end D ring on the bottom so that you can attach it to weights to keep it secure and in place, counteracting that wild and annoying swing you get when you punch a bag too hard. Fancy throwing some heavy leg kicks as well as using your hands? Then you will want a longer heavy bag like this fantastic banana bag from Combat Sports. All heavy bags are great for throwing kicks but you will need the extra length at the bottom if you want to practice low kicks. Combat Sports are one of the original brands that made and sold MMA gear so they’ve been doing this a long time. They know what they’re doing. As the 100 pound weight is spread out across the longer bag, it’s slightly kinder to your hands and shins. Throwing a hard kick at a heavy bag when your shins aren’t conditioned can hurt! But with this bag, you’ll be able to throw harder kicks much quicker than on a thicker, denser boxing heavy bag. If you’re an absolute beginner and own absolutely no equipment, then this set is perfect for you. Hell, even if you do own closets full of MMA gear, it’s worth buying this set for it’s immense value for money. RDX are the top brand when it comes to value for money. They produce excellent MMA equipment like gloves, shorts and every other piece of training equipment you can think of for cut-throat prices. And all of their gear looks amazingly stylish. Cheap prices but without that cheap look. This bag comes with the chains, fittings and brackets for you to hang the bag anywhere you like. The bag itself is waterproof so you can even use it outside. It also comes with bag gloves, a skipping rope, grip strengtheners and even a boxing glove keychain. RDX have all bases covered here and for that bargain price, you can’t go wrong with buying this set. All of the bags come pre-filled so you don’t have to spend ages with the mucky task of filling it with sand and other materials yourself. These bags only need to be set up once and then they’re ready to use and abuse whenever and however you want.